The high voltage test unit T99/1 is a portable and powerful test device able to generate a DC voltage of up to 40 kV. 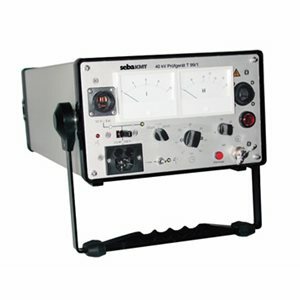 The T 99/1 is used for testing of cables, cable accessories, plant and installations. Because of the short-circuit proof design and high output current of the T 99/1, this is device is also suitable for cable fault location (in conjunction with a TDR unit).